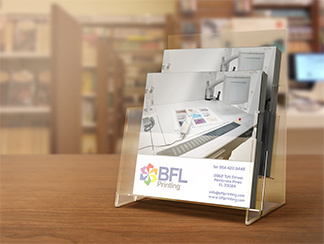 BFL Printing, Inc. was established 20 years ago. We are primarily a marketing company with the ability to personally market your company for less than a traditional advertising agency. The owner James Older started BFL 20 years ago and has been in the Printing, Apparel and Promotional Products business for over 35 years. Where we shine is with our personal touch as you can always call and we will answer the phone. We believe in listening to the customer. And make customer service, quality and quick deliveries the hallmark of our existence.